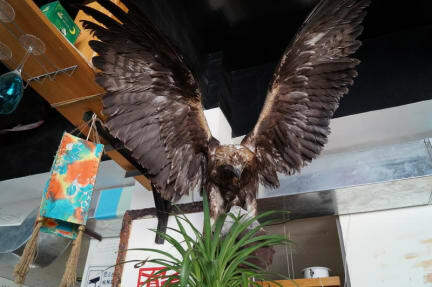 Maitian International Hostel, Urumqi, Chiny : Rezerwuj teraz! 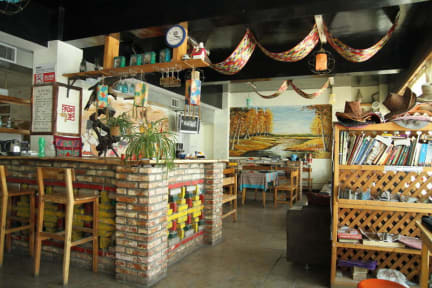 Xinjiang Maitian International Hostel is located in the centre of Urumqi. The traffic is so convenient. It is a hostel which owns the fashion culture. There are so many shopping centers near by the red hill park which is the symbol of Urumqi. About fifteen minutes you can get to the most classical bazaar in Xinjiang by bus. Then, you can walk to May First Evening Market which is the most national place in Xinjiang and you can taste many nosh all over the xinjiang. Of course, the bank, post office, cinema, bus stop are somewhere nearby. We will arrange your accommodation with different style comfortable room. When we are out, it is difficult to find a quiet place in noisy city and a sunshine garret in underbrush.